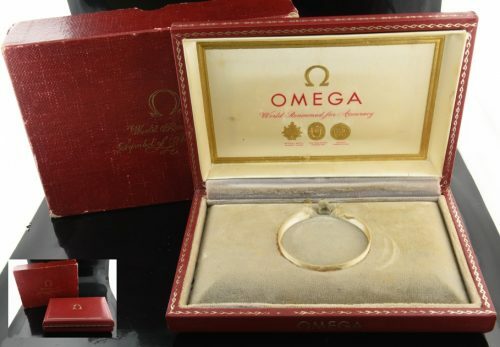 This is a VERY hard to find 4×6″ vintage pocket watch box for OMEGA. The ring fits up to a 46mm. pocket watch. 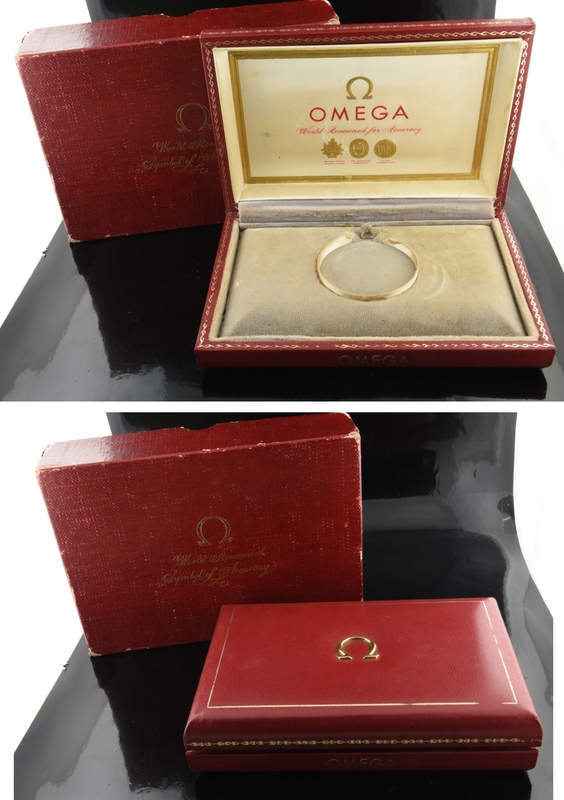 This comes with the inner and outer box in great shape. Very uncommon.